During the calendar year of 2012 a variety of film bloggers and writers across the city of Toronto, including those at The Matinee, Toronto Screenshots and Eternal Sunshine of the Logical Mind, have been taking part in a yearlong series called “The Blind Spot Series”, where we as critics make a list of films that in one circle or another are deemed to be classics that we yet to see, and review them from the perspective of the first time viewer. Well here at Entertainment Maven we felt like it was time to join in on the fun. Today we are going to go all the way back to the year 1953 for the World War II tale of spies, sabotage, honor and bravery from director Billy Wilder. It’s time to get “Stalag 17” out of the Blind Spot. 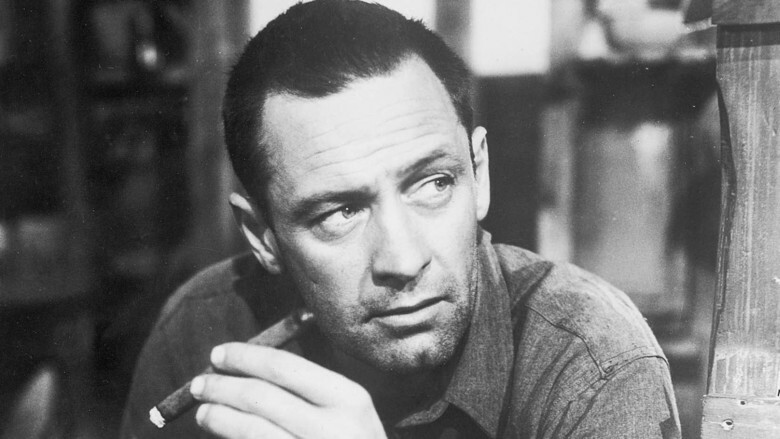 In Stalag 17 William Holden plays the jaded and scheming Sgt J.J. Sefton, a prisoner at the notorious Stalag 17 German prison camp, who spends his days dreaming up schemes and trading with the German soldiers in order to make his days a little easier and get special privileges in the camp. However when two prisoners are killed during an escape attempt it becomes clear that there is a spy in their midst who is thwarting them from trying to hold on to whatever hope they can in order to survive. As the days pass the prisoners begin to point fingers at each other, eventually they start to turn their collective gaze towards Sefton as the traitor. 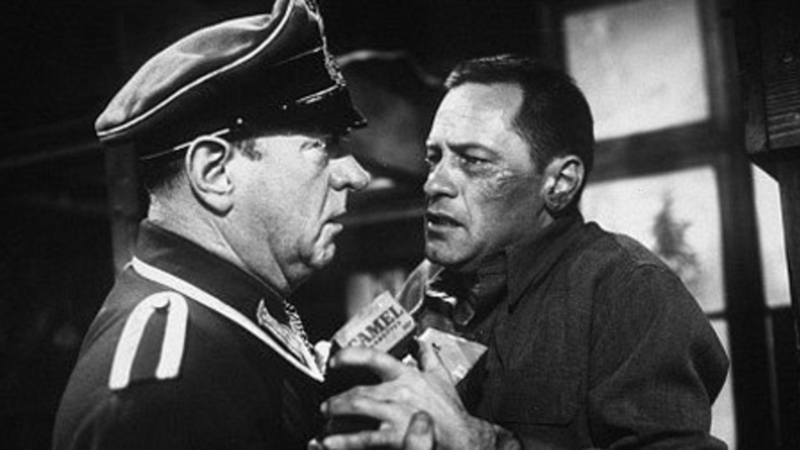 Adapted from the play by Donald Bevan and Edmund Trzcinski, Stalag 17 is an interesting blend of comedy and drama and just might be one of the first times that both elements have been blended on the big screen. As a director, Billy Wilder was arguably in the midst of his most prolific period at the time, as Stalag 17 followed such classics like “Sunset Blvd” and “Ace in the Hole”, but preceded “Sabrina”, with this film he managed a superb balance of laughter and tension. The story telling was at a near perfect balance and despite some minor hiccups worked incredibly well. Wilder was excellent in his use of light and shadow, making it all look fantastic as the framing and setup of each individual shot was prepared with meticulous care. Wilder’s skill behind the camera is one thing, but some strong performances, in particular from William Holden, helped to put this film over the top. In the only Academy Award win of Holden’s illustrious career, he was simply captivating as the Sgt Sefton. He managed to separate himself from the pack still maintaining his calm and cool demeanor, not only in the face of captivity, but as his bunk mates turned against him his steely cold con man never broke since he knew from minute one what it takes to survive in a hell hole like Stalag 17. Some interesting faces appeared in the supporting cast including the likes of Don Taylor, Robert Strauss, Peter Graves and Richard Erdman (who plays Leonard on Community!). Even famed director Otto Preminger shows up in a rare acting role as Oberst von Scherbach, the cruel commandant of the camp. At the end of the day however this really was about William Holden who while even in the background was the focus of almost every single scene of the film. 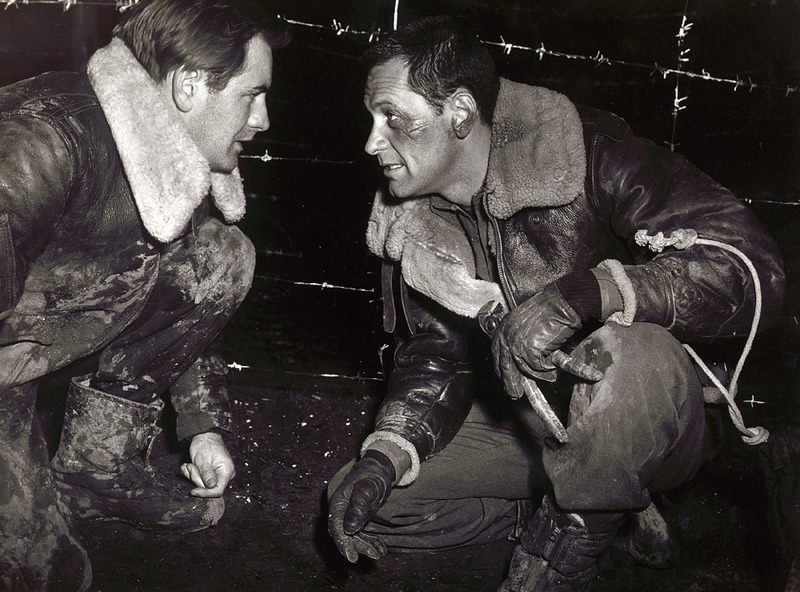 As a 59 year-old film, Stalag 17 is really a fascinating piece of cinematic history as we watch such a seamless blend of styles tackle a subject with respect and humor that for the population at large was still a fairly recent piece of history. Stalag 17 should be available at most video stores across the city of Toronto. Don’t forget to follow us on Facebook at our Entertainment Maven fan page.